A hi-low driver operates a powered industrial truck called a hi-low, a forklift, a fork hoist, or a lift truck to move materials around a worksite, often a warehouse or other industrial location. The driver is responsible for the truck’s operation both as a vehicle and as a hoisting mechanism, constantly observing safety procedures while moving loads from one location to another. In any kind of industrial facility, whether manufacturing, distribution, storage, construction, or any other type of operation, hi-low operators are crucial to the fast and efficient placement of materials. Hi-low drivers demonstrate all the abilities of a good professional driver. Of these, good coordination of different limbs performing different activities is of critical importance. Others include good distance vision and depth perception, manual dexterity, and a good reaction time. These abilities are essential to hi-low drivers’ coordination of the different functions of the industrial truck. They must also be skilled at coordinating their own actions with those of others on a work team. Hi-low drivers must be well-versed in the technical specifications of the specific vehicles they drive and be able to interpret the meaning of their various dials and gauges quickly and accurately. Hi-low drivers should also be capable of performing routine maintenance on the industrial trucks they drive. The most typical job a hi-low driver performs is moving a load, usually stacked on a pallet, from one location to another, one or both of which are on a shelf. To do this, the driver carefully positions the truck’s forks under the load, carefully raises it from its support, and maneuvers it to a point where it can be lowered safely to a height safe for movement. The driver then navigates to the destination, avoiding people and obstacles, and observing relevant safety guidelines, and deposits the load. 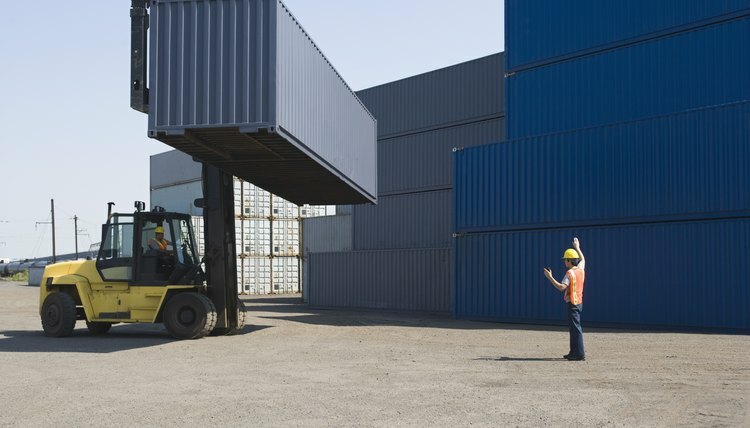 It’s critical to be constantly on alert for improperly packed or shifting loads, as well as for obstacles and other hazards in the path, and to be prepared to take immediate action to avoid accidents. Each hi-low driver is required to inspect the truck before operating it and to correct any unsafe conditions, and to perform a similar inspection upon finishing work. In most cases, the driver is responsible for seeing that the truck is refueled or recharged, as appropriate, for the next driver. 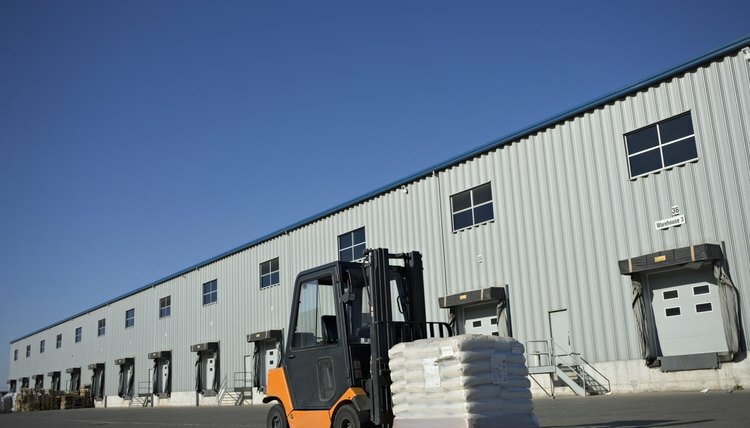 While some facilities employ hi-low drivers exclusively in that capacity, many others assign them to perform other jobs as well, usually related to material handling and movement. Other jobs they may perform include manually or mechanically loading or unloading pallets or other platforms, and weighing or counting materials, as appropriate, and recording the data on tags, labels or lists. A hi-low’s center of gravity varies according to the height of the load being transported. Although it is purposely built with a very heavy body, when improperly loaded or operated, it can jeopardize the safety of its driver and anyone in the general area. Federal Occupational Safety and Health Administration regulations require that companies using hi-lows ensure that each operator is competent and has successfully completed a training and evaluation program. Some companies train, evaluate and certify their own hi-low operators. Many other companies, though, send their hi-low drivers to programs that train, evaluate and certify them, and usually issue hi-low operator certification cards. The training includes formal classroom-type instruction as well as practical, hands-on training in a hi-low’s operation. Because of the potential liability, most employers are very strict about permitting only certified operators to drive hi-lows. What Kind of Questions Should You Ask a Heavy Equipment Operator? Marshall, Dale. "Hi-Low Driver Duties." , https://careertrend.com/hilow-driver-duties-27914.html. 05 July 2017.